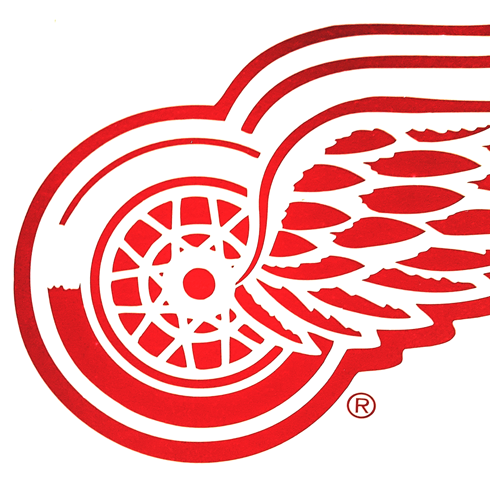 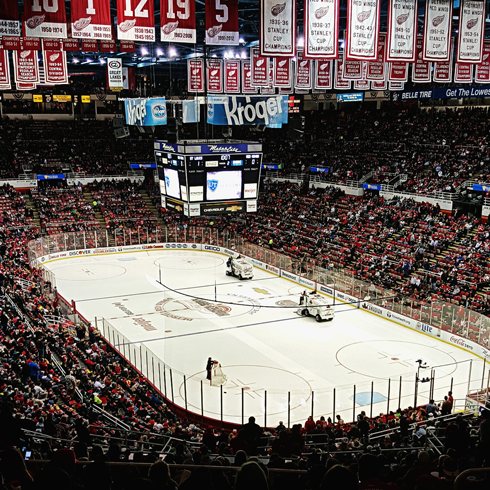 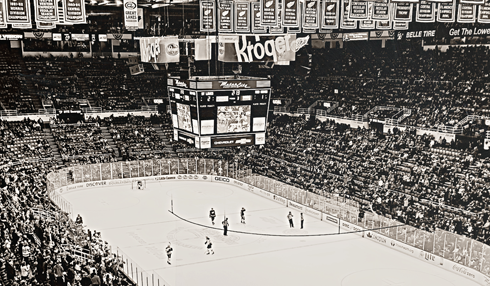 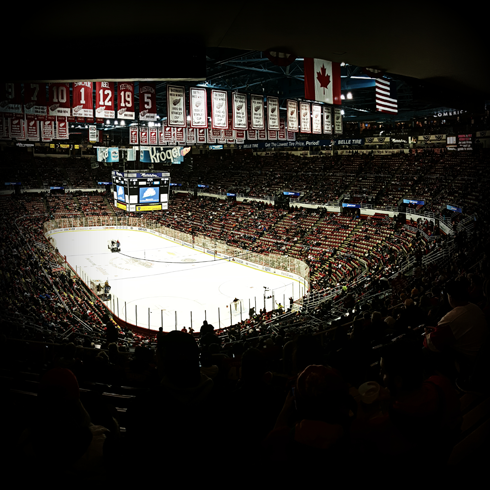 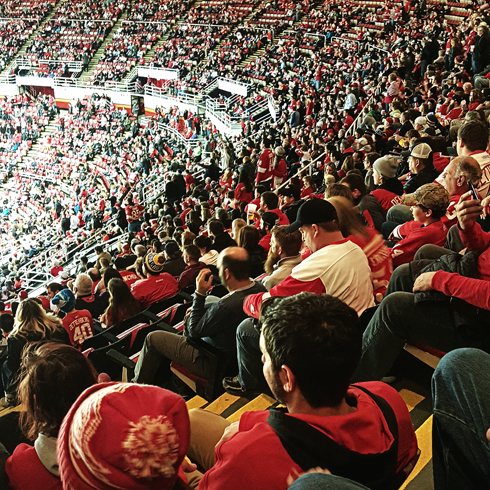 With a new arena currently under construction, this is most likely the final season that the Detroit Red Wings will play at the Joe Louis Arena in Detroit, Michigan. 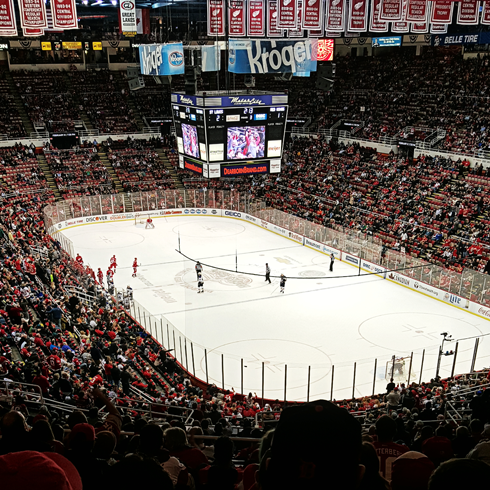 Here are a few shots from inside the arena during a hockey game between the St. Louis Blues and Detroit Red Wings from earlier this year while I was in town for the North American International Auto Show. 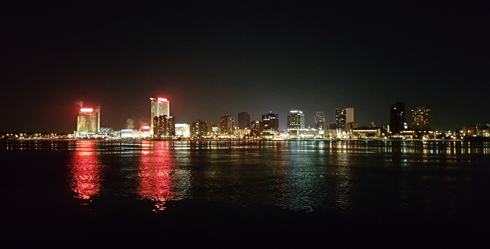 A view of Windsor, Ontario across the river.